Earlier this month intensive care nurse Lori Gay took a lunch break, as she often does, in a small room 30 feet from her nurses’ station at Salt Lake Regional Medical Center (SLMRC). But, on this day, along with two other nurses who joined her, it turned out to be her undoing. The following day, on Jan. 11, a hospital administrator told the three women they had jeopardized patient safety by leaving their station and fired them. It happens the women were fired the same week news came that a six-year effort to organize a nurse’s union at SLRMC had crumbled. 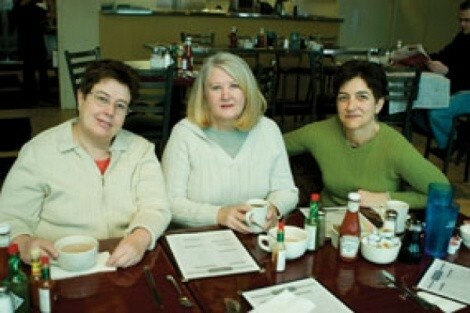 Gay and her two ICU colleagues, Shauna Mann and Dianne Player, both 58, had been key players in the organizing work. The nurses say hospital managers have threatened to report them to state licensing officials, alleging their failure in protecting patients, thus compounding their punishment and making them unemployable elsewhere. “It’s called ‘retribution,’” Player says. The genesis of this story stretches back to September 2001, when Gay, Player and Mann met in Salt Lake City with an organizer for the United American Nurses union. They say problems began shortly after the for-profit Iasis acquired the non-profit Holy Cross Hospital in 1994. The nurses wanted more say in patient-care decisions, in staffing levels and benefits. It was never about salary, the women say. The SLMRC nurses voted on whether to be represented by the United American Nurses Union in June 2002. Almost immediately after, SLMRC managers changed their job descriptions. Typically, each nurse on a floor takes a turn two or three times a month as a “charge nurse.” The job amounts to routing patients and assigning beds. Being labeled “charge nurses” is an important distinction. Hospital officials decided to treat them as managers, prohibiting them from union membership. And, for the next six years, the issue bounced back and forth among the nurses, the hospital and the National Labor Relations Board. Essentially, the NLRB had to decide whether “charge” meant “manage.” The nurses argued they had no power as charge nurses to schedule, discipline or hire and fire fellow nurses. So they should not be considered management. Late last year, the NLRB rendered the “Oakwood Decision,” a similar case from a chain of long-term care facilities. The board ruled that companies could, indeed, consider charge nurses supervisors. Days before Gay, Player and Mann were fired, United American Nurses withdrew its petition for the union at SLRMC. “In the current political atmosphere, which is quite unsympathetic to labor, we thought it best to withdraw [the petition],” says union spokeswoman Suzanne Martin. There are approximately 2.4 million registered nurses in the United States, according to the U.S. Labor Bureau. Eighteen percent of them are union members, Martin says. The fired nurses share 81 years of intensive-care nursing experience. Mann has found a couple of part-time nursing positions. All are considering legal action against the hospital. They say other nurses have resigned in solidarity with them; the hospital would not confirm that. None of the women consider their efforts wasted.